I just started watching videos on YouTube recently, but I can't figure out how to save them to my hard drive. Is this possible, or am I stuck bookmarking the pages? YouTube uses Flash video to playback movies on their site. In addition to being universally supported on most computers, one of the many benefits of using Flash from a publishers standpoint is making it harder for people to download the movies. It's not impossible and depending on how the Flash movies are played, you can sometimes simply dig in your Temp directory for the file because the server actually downloads the entire movie to your computer during playback. For YouTube movies, it's easier to let someone else do all the hard work of locating the file. 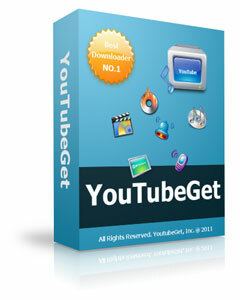 My favorite solution for downloading YouTube movies is a Software called YouTubeGet, which locates downloads from a handful of Internet sites. It's one of the few software sites I bother bookmarking. If you find a YouTube video you like, copy the URL and the program will auto add the url to download list, choose a file format(AVI, MP4, WMV, MOV, 3GP, MP3) and click the Download button.